There aren't many situations where we'd recommend you don't buy an iPhone but late August is definitely one of them. While only Apple knows for certain when the next models will be released, the odds are that the launch is just a couple of weeks away. Until the last six years, it wasn't really a given that Apple will reveal new iPhones in September. The very first one was announced in January of 2007, for instance. Then for the next three years, a new iPhone was the staple of June and WWDC. And in 2011, the iPhone 4s was revealed in October. However, since then we've had six consecutive years of iPhone special events at near or exactly the same time. It's always in the second week of September, for instance, although only just barely in 2016 when it was on Wednesday September 7. It's unlikely to be that early this year as although September 2018 begins on a Saturday, it also includes Labor Day. So the event is most likely to once again be in the second week of the month and if so, we're saying it'll be Wednesday September 12. We're also saying it will be at the Steve Jobs Theater in Apple's new Apple Park campus, but this shouldn't be a big surprise. Apple could run it on September 11 but nobody launches anything on that date, and it could be September 13 -- but few launch anything on any 13th. All of this has to be at best informed supposition until Apple releases one of its semi-cryptic press invitations, and really until the keynote presentation itself. However, if you're thinking of gambling that Apple will bump it all to October or later, don't. The sole piece of information approaching hard evidence is from Apple's latest financial earnings call. Chief Financial Officer Luca Maestri was asked about the next quarter which ends September 30. "We provide a guidance on revenue and the guidance range implies growth of 16 percent to 19 percent [for the fourth quarter]," Maestri said. "We expect the growth to come from strong growth from iPhone, from services, and from wearables, which has been a bit of our pattern during the course of the year." Since Apple's fourth fiscal quarter of the year ends September 30, it's odds on that the company expects to earn some serious cash between now and then. Maestri's remarks are pretty clear. It means there will be new iPhones, and if you've been following the rumors, you know that it looks like the plural is correct. Expectation based on what evidence there is from the supply chain suggests that there will be three new iPhones this year. One of the three is expected to keep the same 5.8 inch size screen as the current iPhone X but the others will be bigger. They'll be a 6.1 inch and a 6.5 inch model. That's interesting because it means all three will be bigger than this year's iPhone 8 which has a 4.7 inch screen -- and also the iPhone 8 Plus which is 5.5 inches. According to analyst Ming-Chi Kuo, the 6.1 inch model will ship in multiple colors including red, orange and blue. It would be the greatest range since the iPhone 5C came out in 2013 and people realised the colors are a bit moot when you put the phone in a case. More visibly significant is going to be the screen display. Currently only the iPhone X has the higher quality and more costly OLED screen but that appears likely to appear in two of the three models. Speculating a little, that could still leave the OLED screens being in the iPhone X range if that's the one expanding to the equivalent of an X Plus. It's unlikely that Apple will call them the iPhone XS and XS Plus, though. Just say it out loud. There is also the chance that at least some of the new iPhones will work with the Apple Pencil -- but there's nothing more than wishful thinking on that so far. These September events are centered on the iPhone and iOS. But, they also historically extend to the iPad and to the related Apple Watch. It's rumored that we'll see a new iPad Pro that takes design features from the iPhone X, such as the lack of a home button, the addition of FaceID and the reduction of screen bezels. Reducing the black edging around the display won't mean Apple making the displays larger, though. It's more expected that the screens will stay the same and the iPad hardware will shrink. The 10.5-inch model will go from 250.6 x 174.1 x 6.1 millimeters to 247.5 x 178.7 x 6, according to Japanese site Macotakara. The 12.9-inch device will allegedly switch from 305.7 x 220.6 x 6.9 millimeters to 280 x 215 x 6.4. Similarly, bezels may be reduced on a new Apple Watch. Regulatory-required filings in the Eurosasian Economic Commission show what are believed to be multiple new models. These multiple models are certain to be because of the two sizes of Apple Watch plus LTE variations. If it's true that these models will also feature smaller bezels then that will mark the first visible hardware change to the Watch since its launch in 2015. If the Apple Watch fits in with iOS then so do the HomePod, AirPods and the still forthcoming AirPower. That last is the wireless charging pad for compatible iPhones. It's the most likely hardware to make an appearance as it was revealed at last year's September event. It was supposed to be available in 2018 and September certainly counts. Whenever it comes, it's supposed to be joined by a new case for the AirPods. It's specifically the case and the new feature is that it will be chargeable using this AirPower pad. However, it is nearly two years since the AirPods were released so it is possible that they will get some kind of an update too. Don't expect anything for the HomePod, though. The launch of that slipped into early this year and arguably wasn't completed until AirPlay 2 came out months later. So we're not likely to see a significant update to this unless Apple decides to make some kind of HomePod mini. Bezels are the new notch. There's a rumor that the iMac will get a refresh that will see the famous chin disappear but again that's over in the land of crossed fingers. 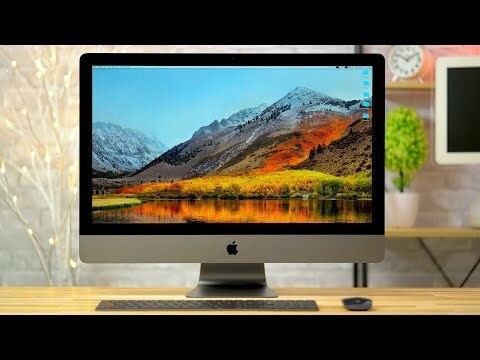 It's certainly true that the iMac's current design is 6 years old and that's the longest time the iMac has gone without a significant change. The current slim design was introduced in 2012 but it was really a development of the basic case last changed in 2004. So the current flat screen with chin has been the look of the iMac for over half the machine's life. It could well be due an update but then this same design has only just premiered in the iMac Pro line. It's hard to know if Apple would upstage its current top of the range Mac so soon after launch. That said, the company could refresh both the iMac and the iMac Pro. It doesn't seem very Apple-like to do this at a predominantly iPhone event, though. However, the latest MacBook Pro updates were significant and they didn't get a launch event at all. So it's possible that the iMac may skip this event and be rolled out in a press release or its own event in October. We can be certain that we will not see the Mac Pro roll out for sale. Apple may do what it did with the iMac Pro last year and give us a sneak peek of the next Mac Pro -- but that's all. Apple has already said that the new Mac Pro will be launched in 2019. That does still leave the MacBook, the MacBook Air and the Mac mini. Of these, most rumors lately have centered on claims that Apple will release a new sub-$1,000 laptop which would probably replace the MacBook Air. There are some things you can absolutely count on being launched at Apple's September Special Event, however. Only, we know this because the company has effectively already said so. 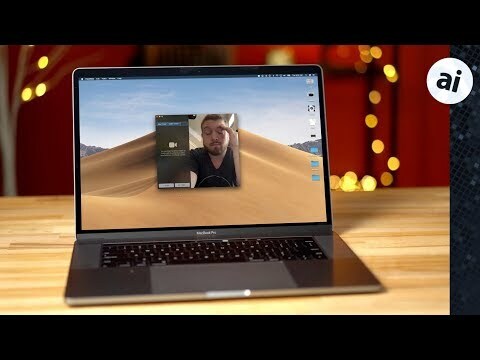 We're going to see the official launch of macOS Mojave, for example. It was unveiled in June, it's been in developer and public beta testing for months, it's coming to a Mac near you at this event. Similarly, the new iOS 12 update will be here. We've already learned that one of its marquee features, Group FaceTime, is delayed until later in the year but otherwise the smart money says that iOS 12 will be launched at this event. We're expecting Apple's event to be Wednesday, September 12 and both iOS 12 and macOS Mojave will likely be that day or very soon after. This means our current hardware will feel refreshed before the end of September, and the odds are that our bank balances will be substantially reduced by then too. I don't expect to see any iMac, Mac mini, or Mac Pro updates at the next Apple event. Maybe the entry-level MacBook will be unveiled, but I think this event will focus primarily on iPhone, iOS 12, and macOS Mojave. Personally, I would LOVE if updated iMacs and/or Mac minis were announced, but I won't be holding my breath. Wouldn’t it be cool if Apple’s focus on performance for iOS 12 was part of a broader project to develop an ARM version of macOS (possibly written in Swift [ok, now I’m REALLY pushing it]) that would be viable for their next-gen A12 SoC (or possibly A12X)? This would be perfect for their sub-$1000 “MacBook Air” refresh, as they’d be able to drive costs down significantly, I imagine. And I put “MacBook Air” in quotes because I believe it’s likely that they’d simply drop that line and designate this machine as the successor to the MacBook. Bezel less Apple watches would be nice. Still waiting for it to be 6 mm thick, have an e-ink color display and 1 month per charge ..
Love Apple, but kind of getting less interested in these "events". Just give us some Johnny Ivy videos explaining what is being released and we should be good to go. A friend just pointed out that they may have decided to schedule the announcement on the 12th because iOS 12 will be formally released and the invite can just have a large 12 on it. Apple wouldn't be that goofy would they? When my iPhone 6 Plus screen popped off due to battery bloat two weeks ago I was concerned that I would be forced to buy a new iPhone, which would have been disappointing to say the least. I am so ready to get a new phone this year based on the X form factor but slightly larger. The good news is that I now have a new $29 replacement iPhone 6 Plus to hand down to a family member and I’ll be first in line for one of the 2017 models. Only question is, which one. And why would every program need to be re-coded and re-written? Historically the September event has been iOS-focused, so I expect that to continue. Macs probably won’t get their own event, but there will likely be updates/new hardware on that front before the year is out. This^ in September and October, respectively. You must have missed the PPC and Intel migrations. Every program will have to at least be recompiled or run significantly slower as its Intel code is converted on the fly. Most big-name applications also have processor-specific code that does indeed have to be re-written, and some companies don't bother to for years, sometimes until Apple removes the emulation. (Often then blaming Apple for their program suddenly not running on the new macOS sans emulator. lol) Other programs that are no longer well maintained fall by the wayside entirely since the developer is no longer supporting it and/or the effort required to update the app is deemed not worth it. And for things like Parallels and Fusion, and even boot camp, it's simply game-over. Virtualization/dual-boot is a very different thing than emulation, and the latter doesn't produce usable performance when trying to run one OS on top of another. 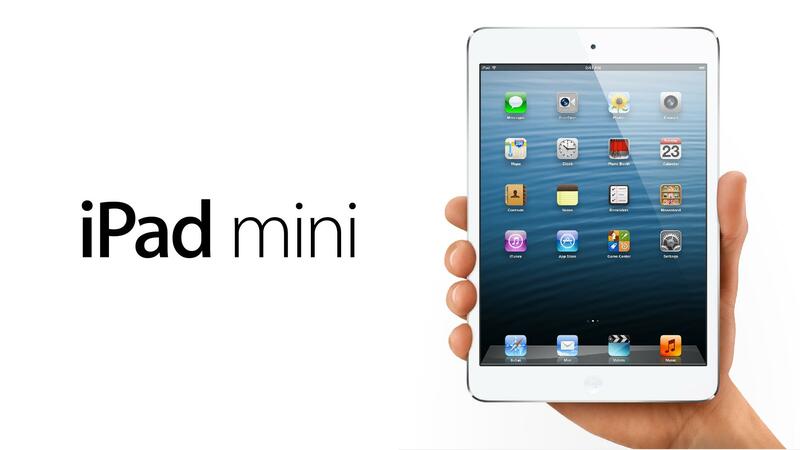 Holding out hope that the iPad Mini will be updated. It has an A8 inside of it in the latest model. Apple does not have to do an iPhone X chassis, bezel and face ID, etc... makeover, just up date the SoC and increase the RAM to at least 4GB! Leave the camera from the iPhone 5 inside is okay too! Good for another 4 years before updating it again!